New album is the first in almost two decades! 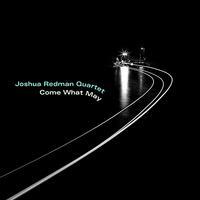 Joshua Redman Quartet's new album, Come What May, from Nonesuch Records, arrives March 29, 2019. This is the first recording in almost two decades for this group of musicians: the recently Grammy-nominated saxophonist and his longtime friends and colleagues pianist Aaron Goldberg, bassist Reuben Rogers, and drummer Gregory Hutchinson. Previous releases were Beyond (2000) and Passage of Time (2001). The Quartet, which has toured internationally over the last several years, recorded seven Redman tunes for Come What May. The Guardian has called Redman "one of the 21st century's finest jazz improvisers," and the Boston Globe said of the group's recent Newport Jazz Festival performance, "There was tenor Joshua Redman with his quartet, showing how to build excitement and get the crowd screaming without pressing or compromising his art." Redman recently said of Goldberg, Rogers, and Hutchinson, in Denver's Westword newspaper, "They're some of my favorite musicians in the world. We've played so much over the years and have been together on the road so much, on and off the bandstand, there's just that sort of camaraderie and friendship and genuine love for and understanding of each other that, for me, [is] the ideal situation for making music. When you have that level of trust and empathy, both musically and personally, it allows you to be truly relaxed and free; and those are really good pre-conditions for magic to potentially happen."